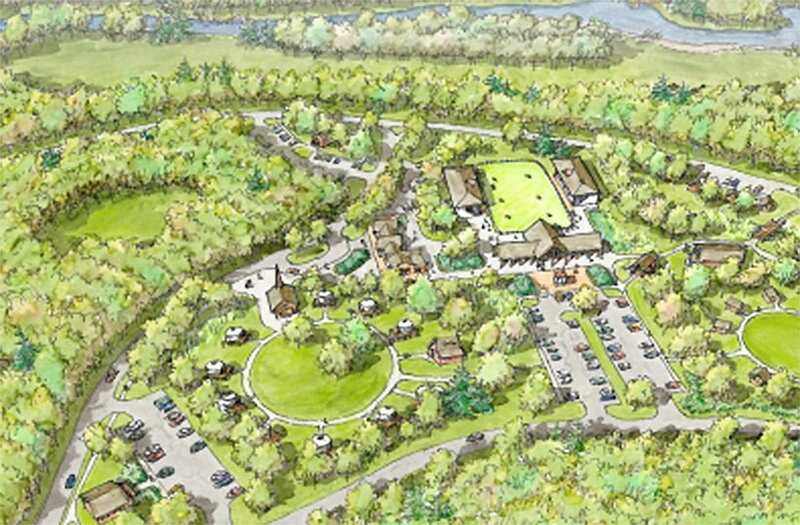 The plan proposes an accessible public campground at the site of the former Frontier Town theme park. 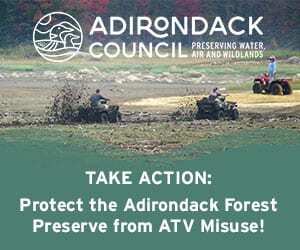 The campground would include RV, tent, and equestrian camp sites and facilities, and trails connecting to the snowmobile trails leading to Schroon Lake and Ticonderoga, and a new trail to Newcomb being proposed in the yet unapproved Boreas Ponds Tract Management Plan. 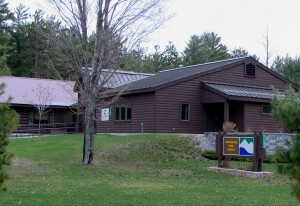 The campground is part of the Upper Hudson Recreation Hub Master Plan. 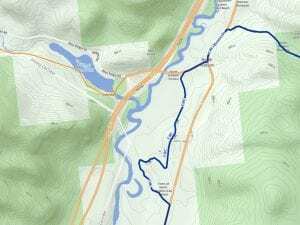 Trails would connect to the Hammond Pond Wild Forest to the east, the Vanderwhacker Mountain Wild Forest on the west, and the Palmer Pond Bridge connection on the west leading to publicly owned lands, including the Boreas Ponds and Essex Chain Lakes Complex. The DEC campground and two day-use areas are proposed on approximately 91 acres of land owned by the town of North Hudson and Essex County. The facility will be operated according to the terms of a conservation easement. Two public information sessions on the project are scheduled for Dec. 11, 2017, at the Town of North Hudson Town Hall from 3 to 4:30 pm, and from 6 to 7:30 pm. According to DEC, the campground plan (designed by C.T. Male Associates through a contract with OGS), includes 91 campsites: equestrian camping facilities with 33 equestrian camping sites; 13 RV and campsite pads with electricity, fireplaces, and water spigots; and 45 tent camping sites, including three group camping sites. 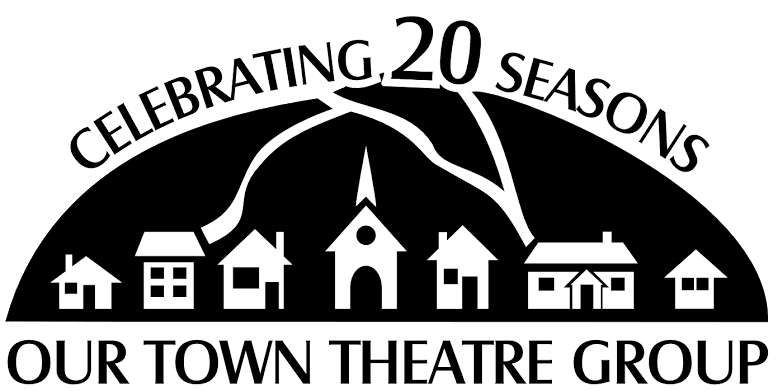 Two shower buildings, a playground and two pavilions are also included in the plans, as is a 26-spot plowed parking area off Frontier Town Road with 18 spots for vehicles with snowmobile trailers, six for vehicles only, and two for accessible vehicles. A seasonal day use area is planned along the shoreline of the Schroon River with 34 parking spaces. Some additional details are available on DEC’s website. Pending approval of the APA permit application, DEC says it anticipates site work will begin in February 2018. An all-season day-use area is expected to be open in Fall 2018, and the campground fully operational by Summer 2019. OGS anticipates advertising projects prior to the end of the year and information will be available in the Contract Reporter and both OGS and DEC websites. Photo provided by Adirondack Atlas. Is Frontier Town 'Gateway' A $32 Million Boondoggle? I know that I am an “elitist” and a “tree hugger” and “anti the economy” and thoughtless when it comes to Wounded Warriors and out of touch with what can be expected from the 21st century American – but I hate this plan. Driving along the Blue Ridge Road is one of the last places left in NY where I get that “okay, this is serious” feeling as I head for an adventure. While it’s possible that it’s ME that’s wrong, I worry that people have lost touch with the value opportunities for solitude and self reliance have. Yes, I want the Adirondacks to be for “everyone” and maybe I am just projecting, but the location of this feels devastating to some important part of me. Agree with Balian the Cat. I am especially concerned with the pressure that will be brought to bear on the Boreas Pond unit management plan- that the process of developing the UMP will become even more coercive. I feel the same way about entering the east side of the ADKs as I drive along the Blue Ridge Rd. This is re-development of already developed land. Just look at what was there. I remember passing it as a kid on the way to our camp. In my book it’s the zooey part of the Adirondacks anyway. Good spot for something like this. I understand your feelings on this. Keep in mind, most of this is near the I-87 intersection, and not out on the Blue Ridge Road. I guess my feeling is that it is re-purposing a previous commercial area. Look at the proposals above, especially the pictures that show the still-standing structures. I would rather see this type of development in an area like this than what the governor has/had in mind for Boreas Ponds. Hopefully subsequent “mission creep” will not take the project much farther from the Frontier Town area. I appreciate the “hopeful” and positive perspective, Boreas. An important comma for my last sentence should be inserted after “Hopefully”. What nobody is mentioning is the road noise at the Frontier Town site. Why would anyone want to camp right next to an Interstate? Meadowbrook campground is practically in downtown between a lumber yard and a car dealer. It gives people a base from which they can explore. I was thinking the same thing. Right next to 86 and usually jammed. Not to mention an economic boon for T of the Pup! Lots of people don’t mind noise. They probably live where it is much noisier at night, this is probably nothing to them. It’s all relative. I use to have the same problem when my sister and I camped but one nite I realized bears don’t tiptoe around and if one came by it would most definitely wake me out of a sound sleep. There’s an RV campground directly adjacent to the Northway just past Exit 25 which always seems full during the warmer months….Paradise for many people I’m sure. I want the original Frontier Town sign, how can I get it before it is trashed? I want the original Frontier Town sign, how can I get it before it is trashed? The broken neon sign that is out by the steet. Does anyone know the status of the “rest of the story” for this area around Exit 29 – the brewery, the hotel, etc??? ZZZZZZZZZ, Boondogle! Spend some of the money and buy out the Iowa Pacific rail line to Tahawus. This plan will never fly – too close to the Northway, too noisy – not needed to any degree any way. Clicking on that PDF (linked by the last six words in paragraph 2 of the article) shows the whole “Upper Hudson Recreation Hub Master Plan” covering five huge towns all the way to Long Lake, mapped at page 5. I’d agree with Bailan (though cats generally don’t agree with me at all) that the drive west from North Hudson is kind of a thrill. I don’t get out of Brooklyn nearly often enough. But the other commenters are right that this project at Frontier Town is a whole different thing from the wilderness regions. The PDF, at its page 18, shows that the “buildable area” within the entire Project Area totals only about 255 acres, straddling both the Northway and Route 9 in places but mostly between them. That’s still more than big enough to make for a pleasantly wooded and calm space just for 91 campsites (half of them tenting-only), at least unless you’re in the RV section next to diesel-powered a/c and TV going all night. It looks like only 10-20 acres would be devoted to the equestrian center and campsites, and a similar amount to the “Gateway Center” (visitor services), day use areas, and parking lots. Much of the project is to remain just woods. Those woods have a way of eating up most of the highway noise pretty well. Through those trees the Northway would deliver a very dulled roar. It would be an ideal place to sleep right before or after a multi-day backpacking trip in the Adirondacks, enabling a very early start at a trailhead. I like quiet camping, but after hours behind the wheel or after a couple of days of hauling a pack, I’d sleep right there just fine. I am a local here, and the impact of this recreationally even more so than economically is positive to us. Many of us have been here for hundreds of years as farmers and have protected these mountains from the corporate world, fighting to live in balance with nature. Please remember this is our home and we are always on the front lines of this balance to keep this beautiful place balanced between nature and man without excessively going to far to either side. Have you seen if any work has started on the property? Haven’t heard much lately. It sounds to me like the micro-brewery may be the first thing to break ground – if they haven’t already!